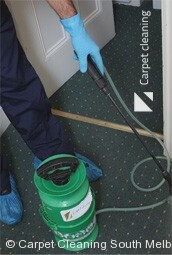 No matter whether you're trying to get rid of tough, worn-in stains on your carpets, or even if you're just looking for a gentle cleaning treatment that will be suitable for more fragile or delicate fabrics... talk to us now, and take advantage of our professional carpet cleaners in South Melbourne 3205. 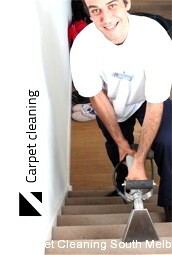 We're able to guarantee effective results with our carpet cleaners services in South Melbourne, largely thanks to our expert team of cleaning staff! Every one of our carpet cleaners comes with a full training and extensive experience... but in addition to that, we also use a superb range of high-tech cleaning equipment and professional shampoos, helping us to maintain our consistently high standards of finish. Give us a call today - on 03 8672 2780. Our phone lines are open 24/7, and we have a team of friendly, helpful staff on hand to answer any questions that you might have about our services. You'll be able to get a free, no-obligation quote over the phone - or make a booking for our carpet cleaning in South Melbourne. On the other hand, you can ever get a free estimate using our simple online form. All you need to do is complete our request a quote form now, to find out how much we'll be able to save you on South Melbourne carpet cleaners!